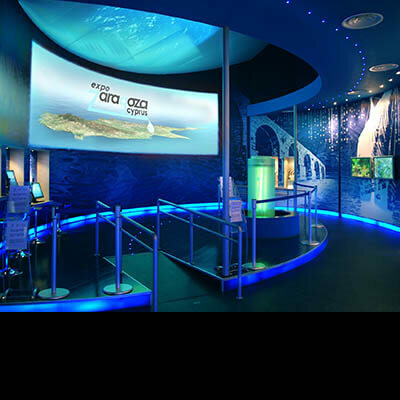 With over 34 years of proven experience, Display Art has been providing world class exhibition services tailored to meet the strategic objectives for a wide range of clients. 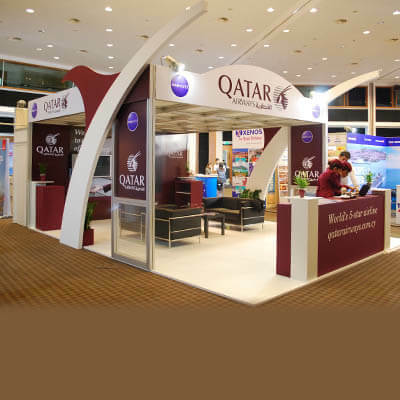 Our services are comprehensive and committed to ensuring that your company’s exhibit experience is a resounding success, that during the course of the given tradeshow, you are not distracted from focusing on your core business. 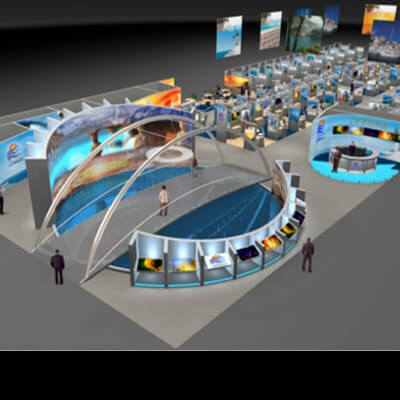 A Project Manager is assigned as your dedicated partner during the entire exhibition process and is held responsible for ensuring that from concept to implementation to dismantling of your trade show booth, your showcase needs are fulfilled. This includes working with you to master plan and execute a detailed timeline of events to ensure your exhibit runs smoothly, maintaining beginning-to-end communications with you throughout the entire project life-cycle, offering on-site and on-call professional advice and guidance and maintaining the utmost quality of service and project integrity. Exclusive original designs using cost-effective modular components for maximum layout and flexibility. 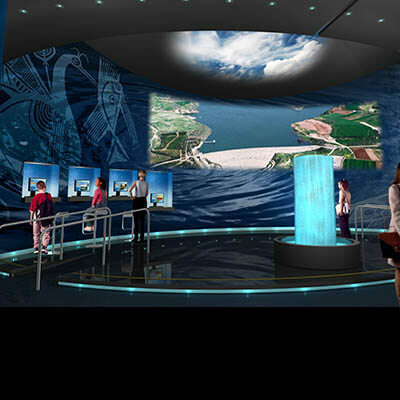 Visual reality stands with 3D graphic rendering, from static artwork to “walk-in” animations and demos. 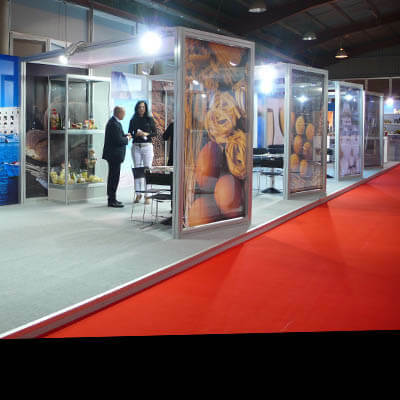 For thirty four years Display Art has been designing and building exhibition stands and partitions and has gained a reputation for ensuring our clients’ peace of mind with every project completed on time and within budget. 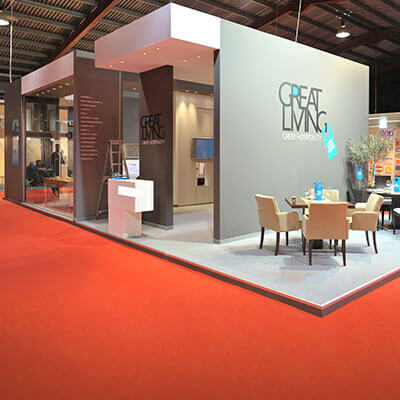 One secret to our success has been that all aspects of the company’s stand construction and partition division are produced in-house and under its direct control. This results in greater versatility to produce unique high-quality one-off designs with unique characteristic shapes and styling. In this way, your marketing objectives are achieved without constraints of shape and size and your specific branding needs can be easily incorporated. 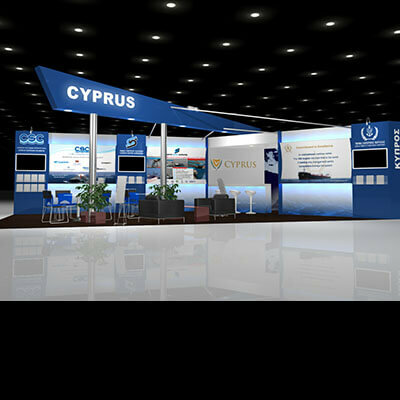 Another key to the company’s success, is that we allow our clients the freedom to configure their stands’ fit-out (bespoke) and equipment to their own specific needs while ensuring that stand construction and partition layout is carried out according to the general regulations and technical requirements of each specific exhibition venue. Experienced project managers ensure that all aspects of the project operate smoothly and within budget. 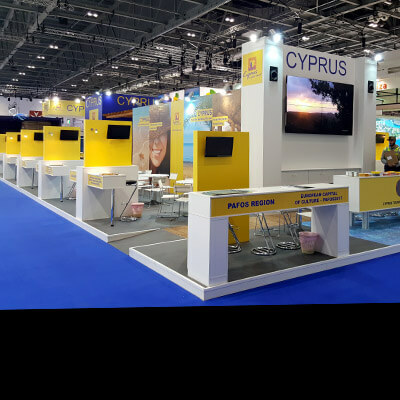 Our technical staff are available to answer any questions you may have about stand construction and partitions or physical conditions in the exhibition halls or in open-air sites. 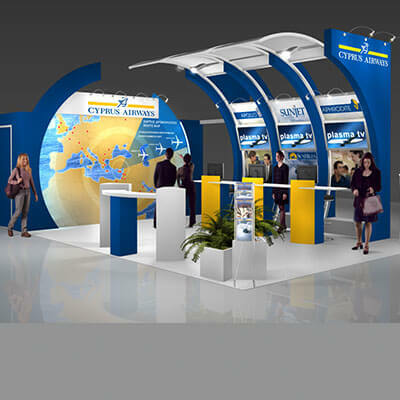 Partition walls and free-standing displays. 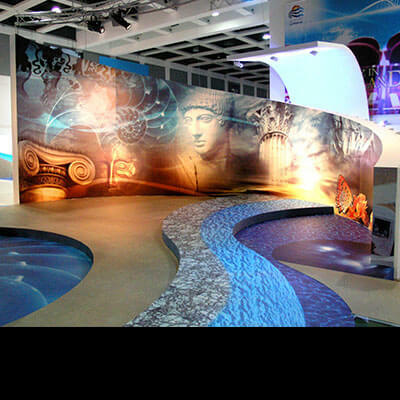 Custom-built stands and colourful wall coverings. Special designed graphics (e.g., giant posters, banners, images). 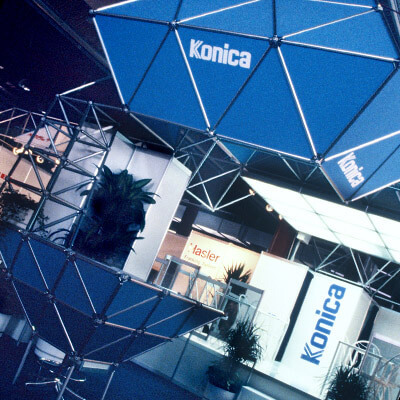 When indoor space is limited or non-existent, Display Art can provide first class marquees and structures for virtually every type of event and venue. 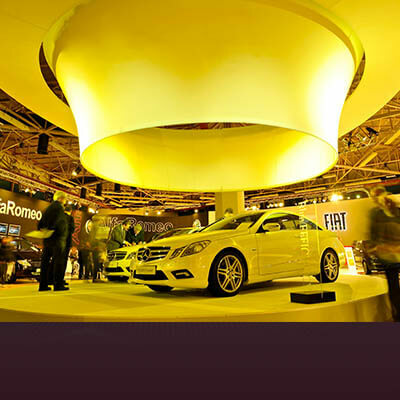 Manufactured to the highest standards, our marquees can be erected on any surface. Supplied with or without linings, they are flame retardant to EU standards. A comprehensive accessories service including seating, linings, lighting and walkways complete with full illumination and climate control. From small portable displays to furniture and shelving for large exhibit booths and showrooms, Display Art offers a full spectrum of attractive, practical and modern exhibit furniture (stools, chairs, cupboards, tables, glass showcases, office desks, etc), as well as fittings, fixtures and floor coverings to enhance your tradeshow environment and comfortably welcome your visitors. Floor coverings include but are not limited to: Heuga carpet tiles, Tabitel carpet rolls, vinyl flooring, parquet wooden floors, raised floors and floor graphics. Modern space lighting and dimming systems. Electrical fittings, riggings and support structures.